This entry was posted in Skip Allen & Painter 12 and tagged Corel Painter 12.2, Corel Painter Real watercolors, Flow Maps, Free update to Corel Painter 12, Skip Allen, Vertical docking, Watercolor. Bookmark the permalink. I agree…my problem is that I love to make flow maps and just watch what happens…I forget to paint…LOL. Well this certainly explains why you have been unusually quiet lately. Busy behind the scenes! Fabulous addition to the program, and as usual, some great explanations and very helpful tutorial from you. I suspect that I have been quite because I am a lazy ole goat. Hope you enjoy the videos. You are certainly… an active goat! I have seen your tutorials on Painter 12.2. Really exciting. One remark concerning Corel. They present their update in German, even in Japanese, but they seem to ignore that a huge French market exist!!!! First time I see you blog, will come visit more often for sure!!! So sorry I didn’t see this before. You were placed in the spam folder for some reason. You are definitely not Spam. I love your blog and hope others will visit. I need to check and see if I have it listed in my blog roll. If not, I will put you and Caroline in it. Both your blogs are a must for Corel Painter Users. This is an unexpected surprise (that is redundant, is it not?) I have watched all of your videos on the new flow feature, and I really enjoyed the painting of the tropical scene. 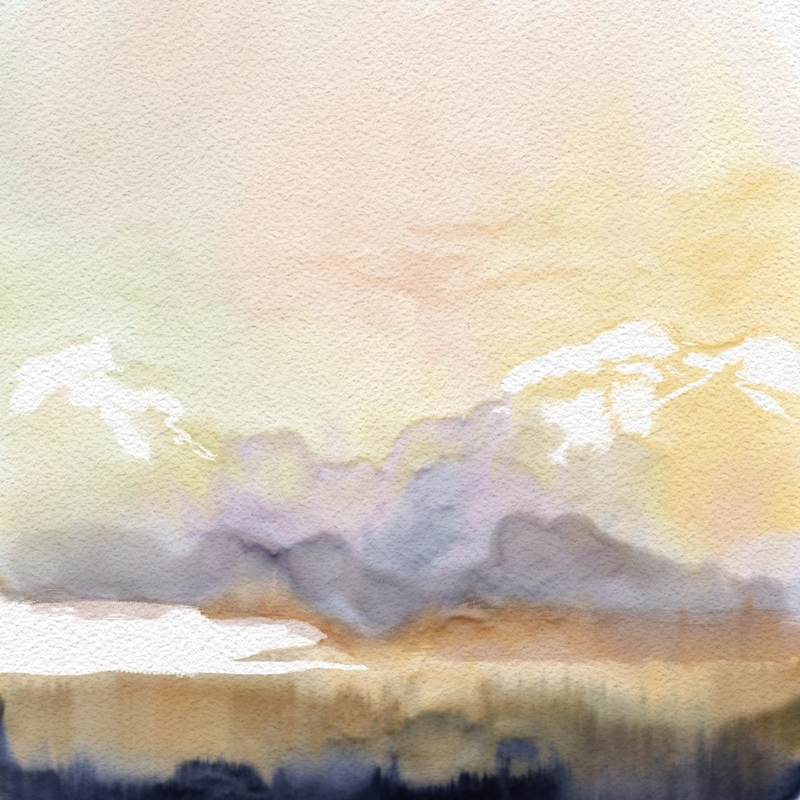 This feature seems to be custom made for your beautiful watercolor painting style.Thank you for all of the time that you have put into the lessons! I know you will love this new feature. Hope these do the trick. When I get some time, I’ll do a video about it. Ronny, I just though of something else. If you reduce the contrast of the flow map, you will not get sharp edges. Yes…you are right…I am very excited. Yes, the flow maps work with Real Wet Oils, too. Take those Desert Oasis Cover brushes that you made and turn them into Real wet brushes. Make some flow maps…and you are off and running. I can’t wait to see how you use them with your portraits. Am checking out the Painter 12.2 update youtube tutorials; thanks Skip for making them! I only wish Corel would get the Mac platform 64-bit enabled(!) They keep saying it’s in the works – meanwhile we kind of drag on. Interestingt update, but Painter 12.2 freezes my canvas in Auto Paint with Smart settings. I haven’t heard of anyone having this issue. I just tried it and it works fine for me. Auto Painting has in previous versions seemed to stick to me. It wasn’t actually sticking…the screen couldn’t keep up with the background rendering…so it just stops, but the auto painting is still going. Once it stops, the painting is filled in all at once. This may be happening with you. Try letting auto paint run for a longer time. I usually have to get up and go away if the auto painting takes a while…or I’ll start messing with keys like a crazy person. I would be interested to know your results. It’s just what’s happened here to. The painting goes on, but no response at the canvas before I stop it. Maybe it has been there before 12.2 to, but I haven’t recognized before. Have just upgrade to a 4 core i7 CPU and 12 NB RAM working at a lightning speed. Maybe the problem lays there. Thank you for your excellent site and all the good stuff from us here out in nowhere. Thanks for the post about the update and thanks for making tutorials. You are so sweet to drop me a note. Thank you for visiting and commenting. Hi Skip, I am at work right now and can’t wait to get home to download this new up-date and try it out. I’m sure its wonderful. Thanks for keeping all of us updated about any new stuff. I don’t know what we would do without you. Thanks again. My thanks too, much like all others before me…but I have more big questions in my mind. (I downloaded but not yet installed 12.2) Looking for an explanation of what the new flow maps/control does…..meaning I assume (risky to assume) that the map makes black areas concentrate water ‘color’ and the light areas (white) push color away? Which has the greater influence? What does one decide before using flow map instead of paper texture? What makes paper different than flow map? and vice versa? In other words, how does one decide when, and when NOT, to use flow map? I saw you use the “same” paper texture and flow map image….but did not see the difference or why pick one method over the other? There must be some short technical or practical description of what flow maps do, how they work (from black to white; including gray levels) (for example on a mask gray makes partial transparency, white is 100% transparent and black is opaque; same for flow maps except it is color concentration? or pushing color to/from where painted?). So I’m lost as to what to use flow maps for, when to use, and why use, and what exactly does it do? Maybe this is more of a question that should be explained in Corel Painter help file…or plenty of personal exploration. At least we did see a little from your use so far. I hope you show more of just flow map effects and how to use; sepaarate from a whole final painted image that has only a little flow map use overall. And of course I assume we would not want the flow map effect to be obvious, just a tool for brush and color effects. And does it make water color painting more like an effect one would do in real physical water color painting? Does flow map ’emulate’ some real world water technique? Does flow map work only with water and oil “paint”? Lots of good questions…really lots…LOL. I believe you have the black and white issue reversed, but I get confused when explaining it. In the five minute overview…I tried to explain how to use the flow maps, but where you use them and what you want to make flow maps out of is up to you. Your comment about personal exploration is the best way to go about it. All your questions can be answered by making two flow maps and testing them. The first one should be just black lines randomly placed on the page…not too many. In the second one, do the same thing, but have the background a mid tone of gray. Now, paint with flow map function disabled and the paper function active. 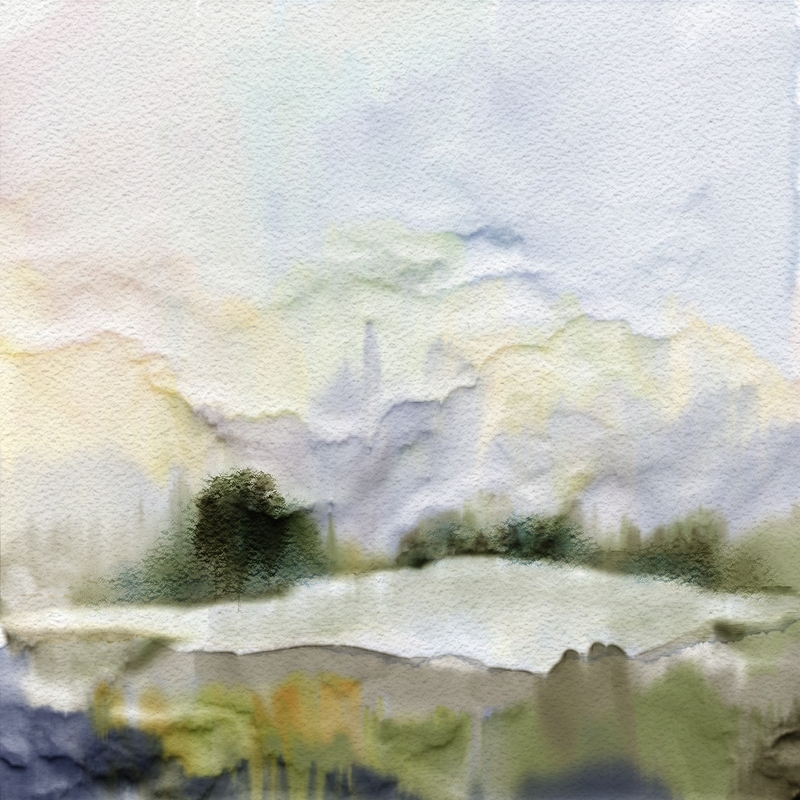 Then hide that layer and add another watercolor layer and activate flow map and try the black and white one. Do the same for the gray one. Look at the differences. Notice that the black line stops the flows and the paint builds around the line with the line itself being a light gray. You can also reverse the flow map and have the flow map black with white lines. Basically you now have the best of both worlds. You can use paper or you can use a flow maps. In theory it is an either or thing, but I remember by working with high grain setting the paper seems to show as well as the flow map. In other words, I could see the affect of paper and the affect of flow maps. I hope I am remembering correctly. Once I did the videos, I had to revert back to Painter 12.1 and I’m finding as I write this note, I’m a bit rusty…LOL. I need to play a bit myself. Anyway, there are all sorts of things that you can try with flow maps and I know you will. I will do more targeted videos soon, plus I want to show the enhanced docking feature. By the time I get to it, you will have already mastered everything I suspect. The developers also fixed a number of bugs. I’m excited that channels have been fixed and is working very well. Stay tuned Doug…more will be revealed. I haven’t checked Painter factory…wonder what’s being said over there. Hope this third try is a charm…. Installed 12.2 OK and trying new flow maps. Thanks Skip for all things Painter from you !!! Mystery solved. I hadn’t gone to my spam folder in a while and for some reason your posts were considered spam. Usually I check Spam frequently, but I guess I have been so busy that I just forgot. My bad. Thanks for these links. There you go again my friend. Way up front in something new Corel has given us. I watched all the videos and downloaded the update. Played a bit; enough to get the idea of it. Quite honestly Skip, had you not done the tutorials I think I would have just passed on getting the update. I am learning a lot from others who post on this thread of your blog on even more ins and outs to using flow maps. Hats off to you Skip and thanks so very much! Thanks Kathy…I’m glad you are liking the tutorials. I wouldn’t pass up any updates…they are free and beside adding new features, updates also fix a lot of bugs. You want to keep updating for the bug fixes. And have now installed 12.2 and strating to experiment. Really appreciate your guidance in all things Painter ! ouch, hope this is not a duplicate; sent one earlier but it did not “take”? Thanks Skip for everything Painter. I installed 12.2 and trying flow maps to learn. I am not sure I understand your question. I understand you are trying to develop a usable workspace. The description of stuff stacked one on top of the other is confusing me. In the coming webinar, I will be talking about making a workspace and docking panels. Hopefully it will help you with this question. Could you give me a little info about how a Webinar works? Most MAC users have no problems at all. I only know of one person who was having trouble. All he needed to do was up date his OS, but I believe he went on and purchased newer OS. What happens when you try to install the program? What have you and Corel Support tried to fix the problem? What OS are you running and is it up to date? Let me know the answers to these questions…then maybe I can think of something to help. You don’t need to wait for the next version of Painter.